Power, performance, and efficiency is combined into the luxurious form of the 2019 Porsche Cayenne. With a 3.0-L V-6 engine for the base trim that already provides a great amount of power for the lowest trim, it is difficult to enjoy driving any other vehicle once you’ve driven the Cayenne. To prove it, we have decided to take the specs and trim options of a popular competitor; the 2019 BMW X5. We are not trying to say one vehicle is ‘better’ than the other. However, we do hope that this comparison will help you make your own decision on which vehicle you may be more interested in leasing or buying, or which one you are simply interested in researching further. Now, let’s take a look at these popular SUVs! As you can see, there are some great specs that both vehicles offer their drivers. However, one does pull ahead of the other when it comes to power, versatility, and acceleration. To start, we’ve taken the horsepower and torque of both vehicles. As you can see, there isn’t much of a difference between the two. 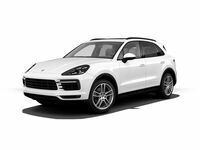 You’ll have a bit more horsepower and slightly more torque on the 2019 Porsche Cayenne, but if power isn’t a huge deal for you, either vehicle is a good choice. 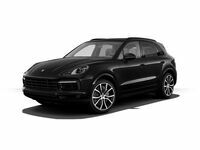 However, if you are looking for a versatility and more options on the vehicle, you can find it in the Porsche Cayenne. While the BMW X5 does have 2 excellent trims, the Porsche Cayenne has 4 trims, which gives you more options for you to choose from. Speaking of options, if you are interested in a speedy acceleration, you can check out the Turbo trim of the Cayenne, which can accelerate from 0 to 60 miles per hour in only 3.9 seconds, which is a full second faster than the BMW X5. Hopefully this has helped you figure out which vehicle is right for you! If you have any further questions please don’t hesitate to contact us right here at Loeber Porsche!